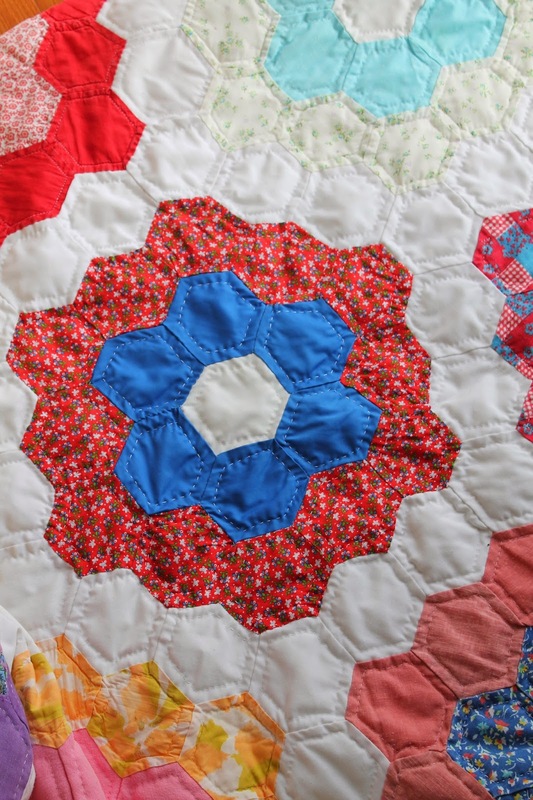 There are so many reasons that I love quilting from the connection to the quilters before me, to the beautiful fabrics and patterns as well as the story that each quilt tells. Recently I was given a wonderful opportunity to help my friend Janet. Our boys played high school sports together and I sat on many a bleacher with Janet. Her son is now married and mine is in grad school. Janet has moved across the country and I don't get to see her but we connect with each other through blogging and Facebook. I will always remember the fun we had. Janet is a writer and recently published her book, "The Button Box". 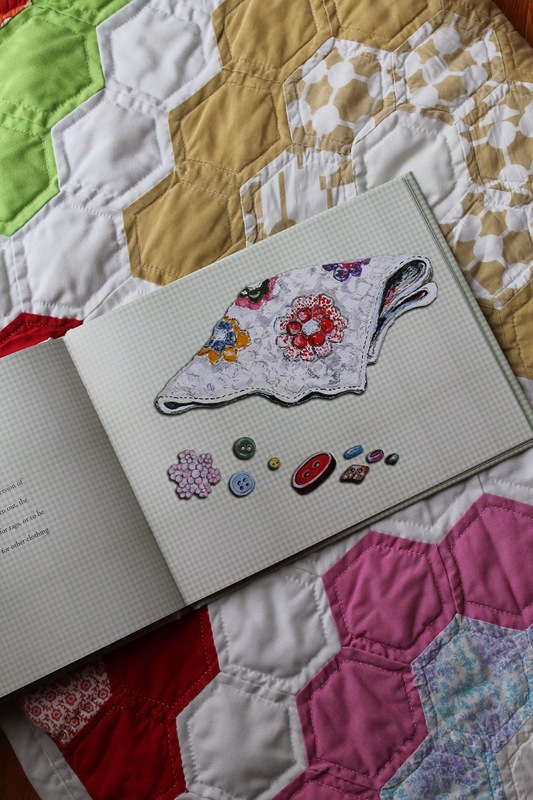 The book includes a picture of a Grandmother's Flower Garden quilt that she and her Mother made together when she was growing up. Janet had gotten the quilt out to put in her guest room and saw that some of the fabric had rotted in one of the flower blocks. She wrote and asked if I could fix it for her, she even had some of the original fabric. I was thrilled to be able to restore her quilt. Not only did I replace the flower but I also took care to stitch up any spots that were beginning to fray. The only payment I would accept was a copy of her wonderful book. It truly was a gratifying experience to work on the quilt. It was repaired by hand and I enjoyed every minute of it. Please visit Janet's blog, "Walk Down the Lane" to read more about the quilt and while you're there purchase a copy of her book, it's wonderful! What a great quilt made with love and so many memories your repairs adding to the beauty. 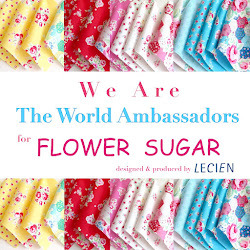 Well as I slowly work on my own Grandmother's Flower Garden quilt, I think picking up a copy of this book will be just perfect. Thank you for sharing the link to her blog. I have so many memories of my grandmother's button box! I also recently found a quilt that was hand pieced by my husband's grandmother. This will be a "must have" book. What a beautiful quilt, I'm definitely going to check out that book! What a great job you have!! Repairing that quilt was a work of love. I am making a Grandmothers Flower Garden quilt. I just ordered the Button Box book. I can't wait for it to get here. The cover alone got me. Thanks for sharing about the book and the quilt. You did a great job. The quilt is so sweet.